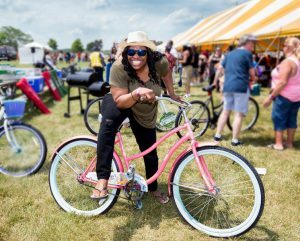 Trinity Transportation held their Annual Company Picnic on Saturday, June 17th 2017, at Lake Erie Metropark to show appreciation for their employees. It turned out to be a perfect day to enjoy delicious food, music, prizes and relax with some friendly faces. Celebrating a company who has brought so many families together for over 35 years takes place every year in June. 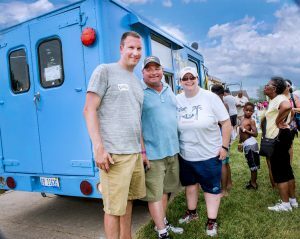 With terminals all across Southeast Michigan and one in Ohio, hundreds of employees and their families all come out for a picnic put on by management to show appreciation for all of their hard work. 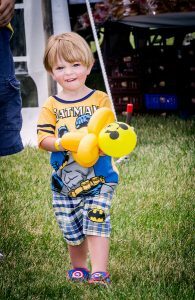 The day was filled with warm weather, waterslides and bounce houses for kids, ice-cream trucks, a DJ, delicious food and loads of prizes to win! There was no better way to celebrate the beginning of summer. Prizes this year ranged from grills to bikes. Each employee received a raffle ticket as they checked in to the picnic. Anticipation arose as each raffle ticket was called off by Human Resources Director, Renee Thornton. While the picnic was wrapping up at around 5:00 p.m., there was a lot of food left over. Trinity Transportation’s President, Jerry Sheppard, decided it would be great to have the food donated to those in need. Over 1,000 lbs. of food was donated to Feeding Detroit and Downriver Area, which is a community-based group who help the less fortunate and are “funded” 100% by donations. Those donations were able to feed over 94 people. Days later, the group picked up several boxes of cookies, chips and other snacks which were being donated as well. To see all the fun Trinity employees had with their friends and family, check out the pictures on our Facebook. Looking to join in on the fun next year? Trinity Transportation is always hiring.